A Canadian friend of mine remarked, “Indians seem to be very fond of the rains.” I had to agree. Yes, we love our rains. For a country that is scorched by incredibly hot summers, monsoon is a welcome respite. Monsoon and the rains have been immortalized in classical poetry, music, art and literature since centuries. Bollywood has not been behind in adoring the rains as well. There are a million film songs shot in pouring rain (or a sprinkler!). An old classic is “Pyar Hua Ikraar Hua” from Raj Kapoor’s classic ‘Shree 420’ starring Nargis Dutt, Nadira and a host of other stars. Another more recent “rain song” is a raunchy number “Tip tip barsa pani,” starring the gorgeous Raveena Tandon and hunky Akshay Kumar. The couple sizzles on the screen and the song is hummable too. I am positive the video is out there on YouTube delighting adolescent males everywhere because really, I doubt if that song was meant for any other demographic! Ok, back to the rains. For so many Indians, a rainy evening implies chai-pakoda! Chai is tea and pakodas are dumplings fried in a batter of chickpea flour ((for want of a better description), spices, salt. Onion pakoras are a hot favorite. All you do is make the batter, dip onion rings in it, drop them into hot oil, fish them out (when done), drain the oil, and dig in. You can do the same using thinly sliced potatoes. In South India, we make bondas. These are essentially cooked and mashed potatoes, made into balls, with salt-spices-cilantro added in. As with onion rings, they get the hot-oil treatment and emerge, shiny and crisp. Wish I could share some pictures! But I haven’t made these in ages. So I direct you to Kamran’s beautiful website with his pakora recipe and pictures. But chai? That I can tell you more about! I would think that each community in India has its favorite drink. I know that in South India, filter coffee enjoys much loyalty. Of course, over the last many years, convenience has made these loyalists to shift to instant coffee. I have fond memories of my Mom’s fabulous coffee served on Sunday mornings replete with a breakfast of idli-chutney and the Sunday papers. The Gujarati community enjoys its tea with masala, sometimes ginger. I make mine with masala (ground with the patient love and skill by my mother-in-law), fresh mint leaves (plucked from my backyard with my own loving hands! ), sugar and milk. Here are the simple instructions (for a single cup of tea). 1. Boil 1/3 cup of water. Add sugar (to taste), chopped mint leaves, a pinch or two of the masala. 2. 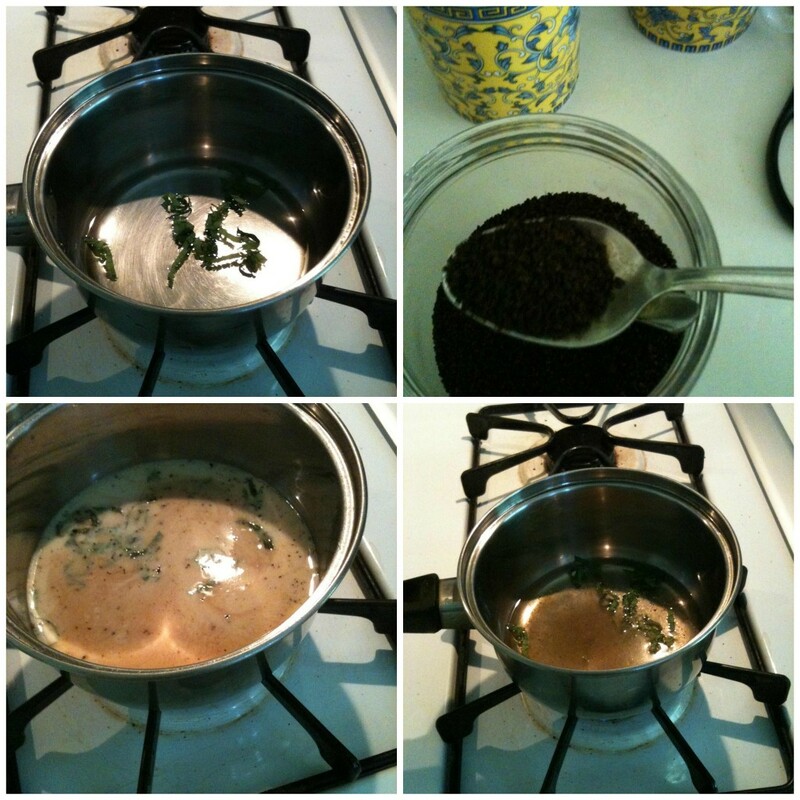 As the water boils, add a teaspoon of chai. I use the Lipton brand commonly found in Indian grocery stores. 3. Add milk to taste. I like my tea fairly milky and well-boiled. But this is not everyone’s cup of tea (pun intended). Some people like it with less milk and less-boiled too. 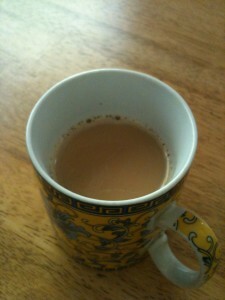 Head over to Archana Srinivas’s lovely blog A Cup of Chai for some exquisite pictures of more cups of tea!